Looking for the best place to have a beer in Prague? We’ve drank literally hundreds of beers here in Prague, and we’re here to help you do the same! As you may know, there are literally thousands of places to have a beer in Prague. 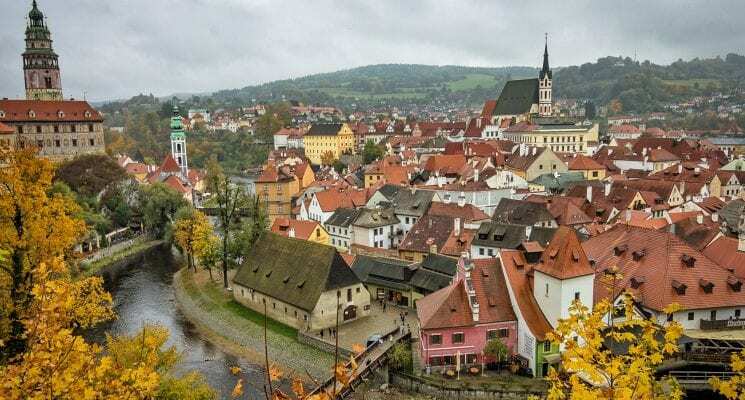 The Czech Republic is legendary for its beer, and Prague is a beer lover’s paradise. 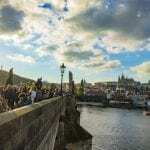 In case you haven’t noticed, Prague has been steadily climbing the charts as one of the most popular destinations in the world. 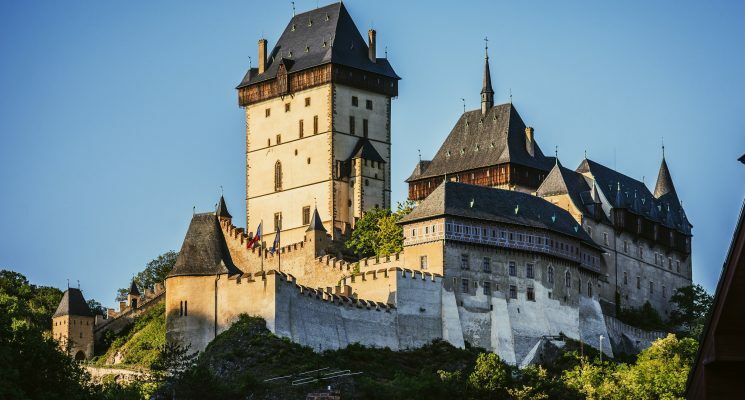 Every year, millions of tourists from every corner of the globe come to the Czech capital to marvel at its Gothic cathedrals, wander through its medieval streets, and get lost beneath the heavenly spires. They also come for one other thing. Beer. “I’m just having one beer” is the most common lie in the Czech Republic. The beer here is so darn good, and so cheap, that it’s impossible to have only one. The Czech Republic reigns as the champion for the most beer consumption per capita in the world and Prague, its largest city, remains the undisputed epicenter. If you’re imagining beer flowing freely through the cobblestone streets, you’re not far off. Thanks to the likes of local giants such as Pilsner Urquell and Budweiser Budvar, beer (pivo in Czech) is plentiful. The big names aren’t the only beer in town, either. The Czech Republic is home to hundreds of small breweries, most of which have been making beer for generations. That being said, finding the best places to drink beer can still take a keen eye. To save you time, we’ve done the heavy lifting (drinking) for you and put together our list of the top 10 places to drink delicious beer in Prague. Proceed with (some) caution. Welcome to the best beer garden in Prague. Or at least the one with the best view. Perched high above the Vltava river with a birds-eye view of Prague, Letna is a favorite among locals and visitors. 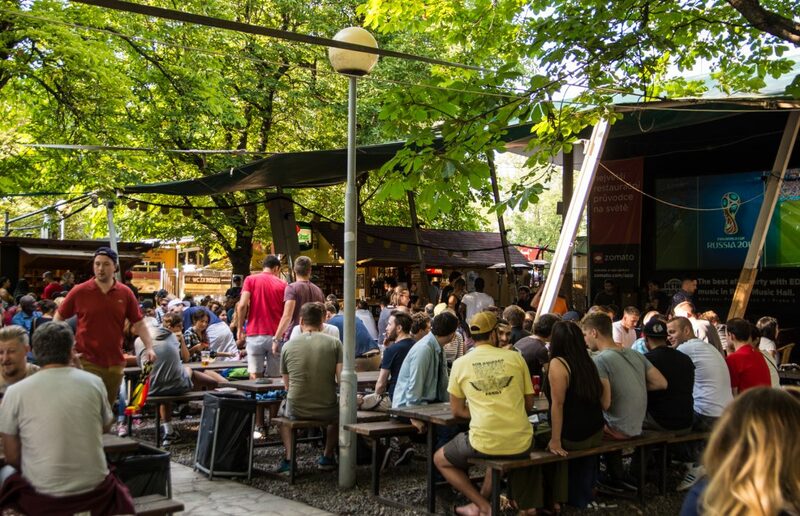 Tucked beneath a leafy canopy of Chestnuts, Letná Beer Garden offers some sweet relief from the summer heat, as well as the perfect watering hole for any night of the week. Grab a seat at one of the dozens of picnic tables, choose from several Czech beers including Gambrinus, Pilsner, and Kozel, and cut into a greasy Czech klobása (sausage). 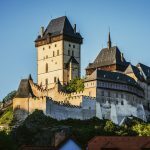 So if you want to drink a delicious beer while taking in some of the best views in Prague, you really need to visit Letna at least once during your explorations of Prague. You can even stop by in the winter for a quick beer and a few photos. If you’re a competitive beer drinker, The Pub is your arena. Featuring six locations around Prague, The Pub is equal parts unique and dangerous due to its self-service taps, which are located in the center of each table. As if that wasn’t enough, you can measure up your party’s beer consumption to other tables in the restaurant and The Pub’s sister locations in Germany, Slovakia, and Romania in real time. It is the perfect place for large groups and to see how your beer drinking abilities fare on the international stage. Take a twenty-minute stroll from Wenceslas Square and you’ll find yourself in the beautiful Vinohrady district of Prague 2. Vinohrady, or vineyards, is a hotspot for expats, locals and trendy new cafes and restaurants. But don’t let the name fool you. Vinohrady is also home to one of the biggest parks and the best beer gardens in Prague, Riegrovy sady. 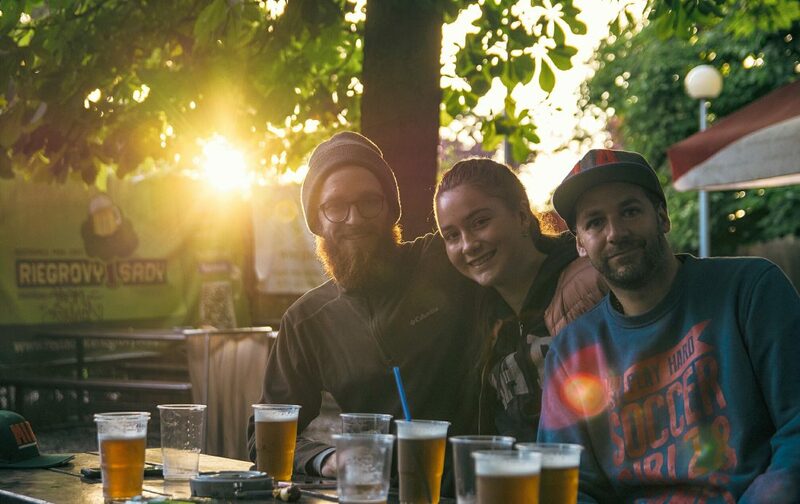 From early spring to late autumn (April till October), Riegrovy is a central gathering spot for an eclectic mix of die-hard sports fans, hookah-smoking hipsters, baby strollers and extremely well-behaved dogs. 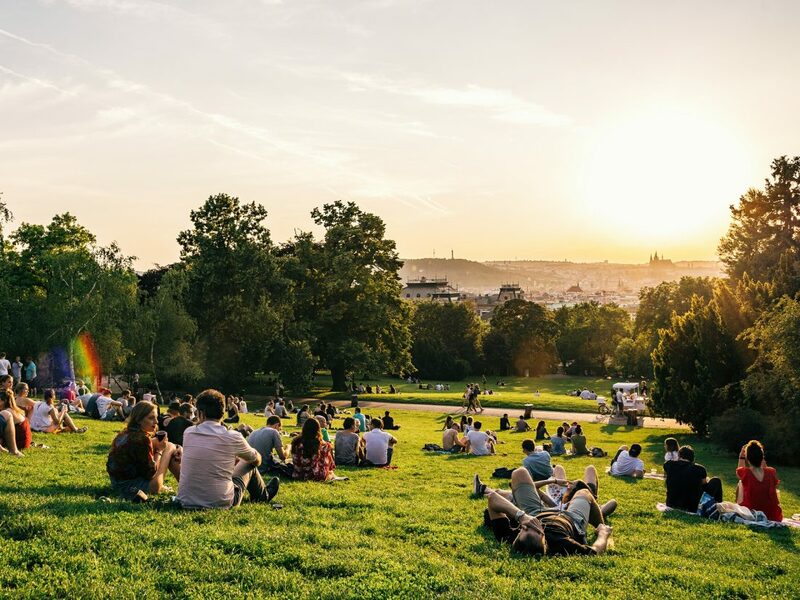 Grab a beer in the main beer garden and watch the latest football match on the projector screen, or get your beer to-go, relax in the grass, and enjoy the most stunning sunset in Prague. Again, don’t let the name full you. Vinohradsky Pivovar, or vineyard brewery, is a favorite among Prague’s growing microbrewery scene. Located in what was once an institute for brewers, Vinohradsky Pivovar brews all of their beer fresh on site. Up to five beers are on tap on any given night, and crowd favorites include the 11° light lager, 12° dark lager, and 13° amber lager. All the beer available are absolutely DELICIOUS, trust us! In addition to some of the best beer in Prague, Vinohradsky Pivovar offers an excellent, reasonably priced lunch and dinner menu including many Czech favorites. Come here for lunch and a beer, or later on for dinner and three beers. Just make sure to make a reservation if you plan on visiting after 7 PM. Self-proclaimed craft beer connoisseur? It’s time to challenge your taste buds and your tolerance. Resting in the gutters of Vinohrady’s posh streets, Bad Flash’s home base sits atop the uber-hipster, Krymská street in Prague 10. That being said, don’t expect all flannel and well-manicured facial hair. Bad Flash is serious when it comes to their beer and carry over 300+ imported craft beer bottles from around the world. In addition to their own brews, each week you will find a rotating batch of small Czech brewers on tap at their Krymská location, or sister location in the up-and-coming Karlín neighborhood in Prague 8. IPAs and Saisons and Stouts, oh my! It wouldn’t be fair to mention the best places to drink beer in Prague without tipping a hat to Žižkov’s Beer Geek Bar in Prague 3. What was once a rough, working-class area, Žižkov is rumored to boast the highest number of pubs per capita of any European district. Beer Geek is one of the first bars in the neighborhood, and in Prague, to cater only to Czech and international craft beer. That’s right, craft beer. The kind all of you hipsters are drinking these days, right? Boasting 32 rotating taps and a mouth-watering menu of hot wings, Beer Geek also brews their own beer under the brand Sibeeria Brewery. Get your geek on! When you’ve got all your major sightseeing out of the way, head down to the shores of the Vltava and walk along the path which extends underneath the Jiráskův bridge. This is Náplavka, and it is the closest thing to the beach you will find in a landlocked country. Though expecting major renovations in the next few years, Náplavka is still one of the best places to drink beer in Prague. Look out for bustling farmers markets on the weekend, live music at night, and a bevy of city-hardened swans. Whether you B.Y.O.B., or grab a fresh tank Pilsner from the floating Loděteria, when you dangle your feet over the water’s edge you’ll appreciate how the Czechs have adapted to life without the sea. If you’re looking for a modern take on the classic Czech Pub, look no further than Lokál. Part of the renowned Ambiente restaurant empire, Lokál serves up an endless stream of fresh tank Pilsner Urquell and Czech classics daily. Belly up at any one of the five locations in Prague and enjoy the unique atmosphere and twist on the traditional Czech hospoda. Planning a big night out in the city center? Line your stomach with some fried cheese, smažený sýr, and tartar sauce at Lokál Dlouhááá or U Bílé kuželky in Prague 1. Need something more relaxing after a long day? Rest your weary bones at Lokál U Zavadilů in Prague 4 and drink up! As you’ve realized by now, beer is kind of a big deal in Prague. So much so that the country’s second-largest brewery, Staropramen, is situated right in the heart of the city in the Smíchov district of Prague 5. Na Verandách, part of the Potrefená Husa restaurant chain, which boasts over a dozen locations in Prague, is the Staropramen in-house brewery restaurant. Here you can sip on the freshest Staropramen in Prague under the same roof it’s brewed. After a few beer snacks and crisp pints of the good stuff, head over to the Visitors Center and sign up for your very own Staropramen tour. If you love beer, and want to see how its made while sipping on a cold one, don’t miss out visiting the Staropramen Brewery while you are in Prague! 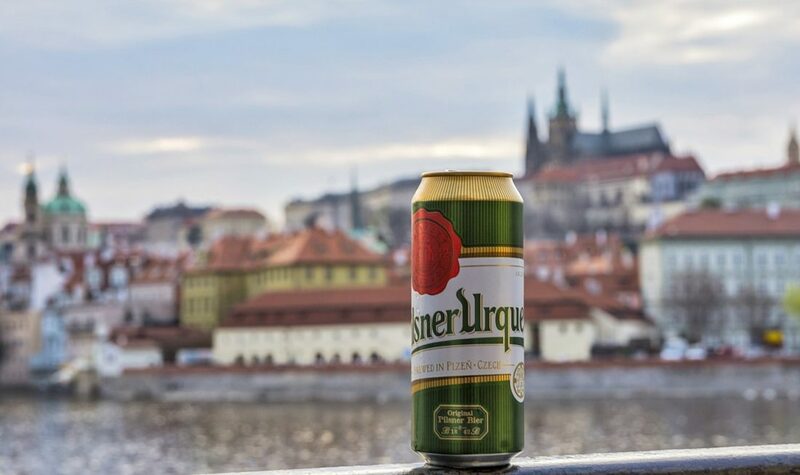 Arguably the best beer in Prague is located in one of the most unlikely places. Only a stone’s throw away from Prague Castle is the medieval, 12th-century Strahov Monastery. Founded in 1149, Strahov Monastery stands as one of the oldest most renowned compounds in Prague. It also has a long history of brewing, which dates back to the 13th-14th centuries. In 2000, the original brewery, Klášterní pivovar Strahov, was renovated and reopened as a craft brewery restaurant and courtyard. Today you can discover your own personal monk-like zen and choose from a range of flavorful, unfiltered Czech beer including their Sv. Norbert Amber, Sv.Norbert Dark and Sv.Norbert IPA. Stocked with history and filled to the brim with barrels of delicious booze the Strahov Monastery makes for an unforgettable visit for any beer lover. 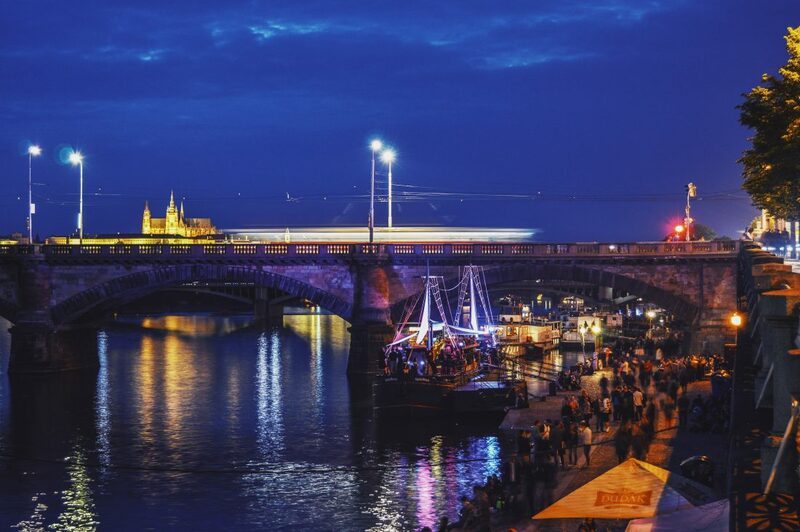 Make sure to leave time in your itinerary for this wholly unique drinking experience in Prague! There you have it, folks. 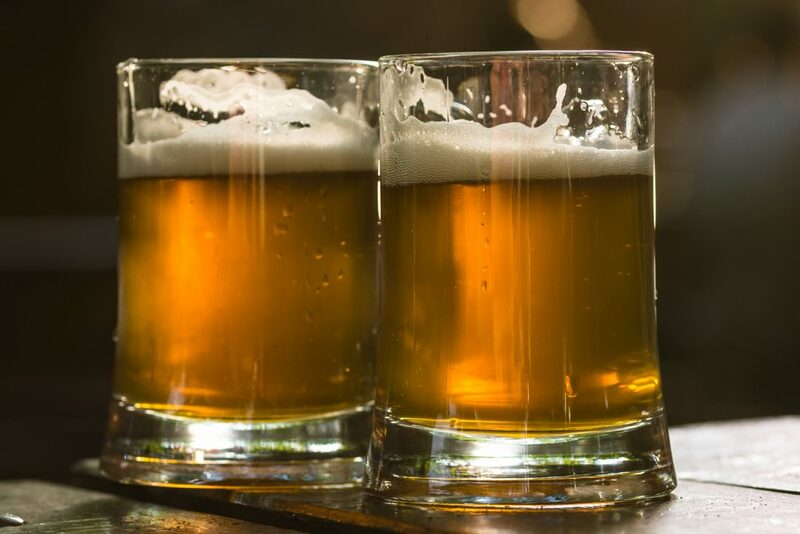 There are many other awesome places to drink delicious beer in Prague, so consider this list a starter for your own beer infused explorations. 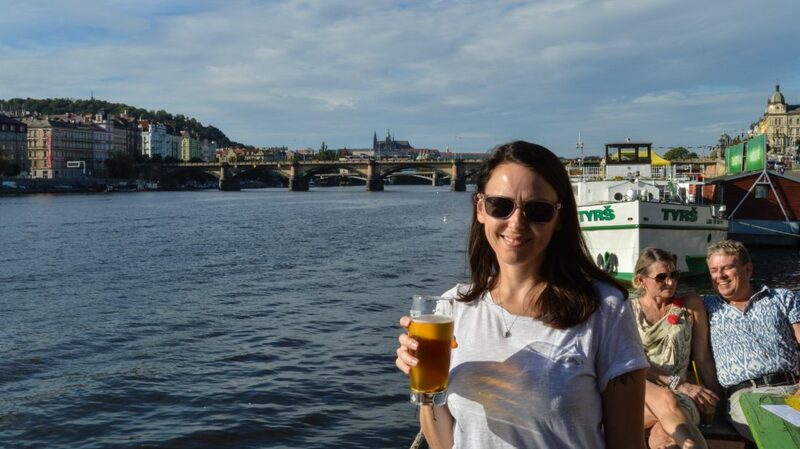 You can walk down almost any street in Prague and come across a bar, pub, tavern, or water hole, so finding your own amazing beer in this city shouldn’t be a problem. 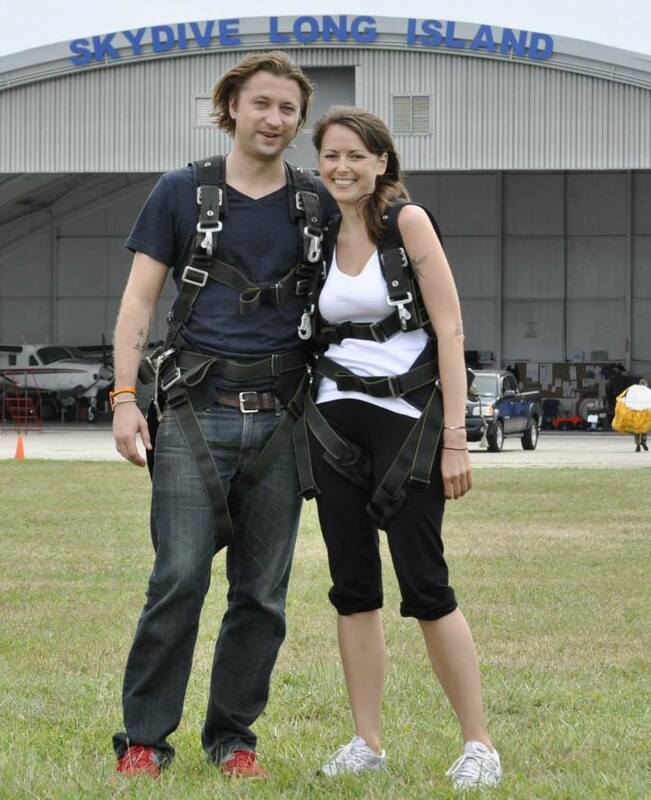 And if you do run into a great place, holler at us and let us know why you liked it! 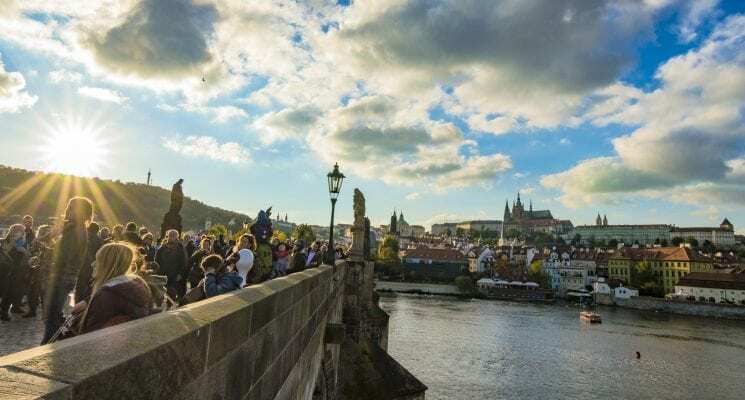 Make sure to check out all of our articles on Prague, including the best hostels in Prague for those of you traveling on a budget! Cheers! Na zdraví! And as always, happy travels, friends! Like This Article About the Best Beer in Prague? Pin It!